In the early morning hours of Friday June 2, 2017, Central Precinct officers located and arrested the suspect involved in the theft of a backpack and wedding ring of homicide victim Ricky Best. 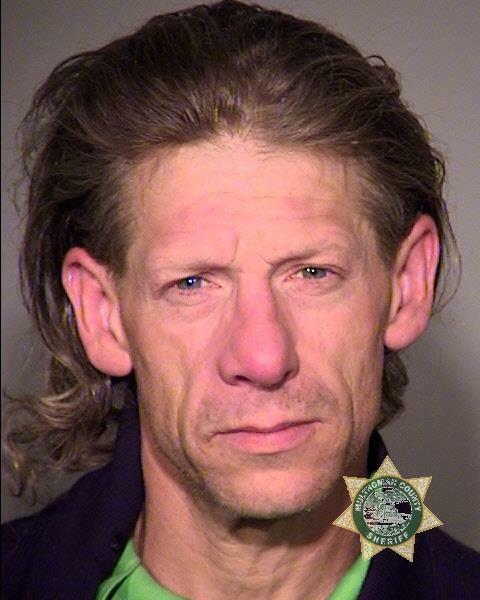 51-year-old George Elwood Tschaggeny (pronounced CHAW-guy-KNEE) was arrested in the area of Northeast Halsey Street under the Cesar E. Chavez overpass along I-84. At the time of his arrest, Tschaggeny was wearing Ricky Best's wedding ring. Detectives also recovered Best's backpack, but some items were missing, including a wallet with phone numbers of some of Best's long-time friends. The wallet is described as a military-style camouflage colored wallet. After the images and video were released to the public on Thursday evening, detectives received numerous tips that a person matching the suspect's description frequented the area of I-84 and Northeast Sandy Boulevard. Officers began checking the area and an alert Domino's Pizza employee called police to report that she'd seen the suspect in the area earlier and believed he was staying near the Cesar E. Chavez overpass. Officers went into the area, located the suspect and took him into custody without incident. Tschaggeny was booked into the Multnomah County Jail on charges of Theft in the Second Degree, Tampering with Physical Evidence, and Abuse of a Corpse in the Second Degree. He will be arraigned on Monday in Multnomah County Court. Based on the investigation, detectives believe that Tschaggeny removed Best's ring from his finger after the attack. Homicide detectives would like to thank an alert public for sharing tips with police that led to Tschaggeny's arrest. 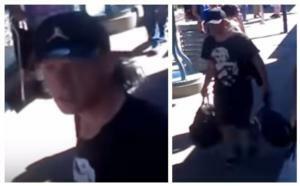 Anyone with information on the whereabouts of Best's wallet and phone list is urged to contact Detective Michele Michaels at 503-823-0692, michele.michaels@portlandoregon.gov. Media inquiries should be directed to the Public Information Officer (PIO).